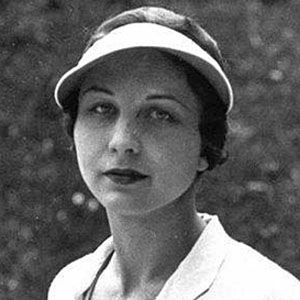 Considered the first female athlete to attain celebrity status, she won Wimbledon eight times, the US Open seven times, and the French Open four times. She honed her skills as a youngster, winning her first Grand Slam when she was just 17-years old. In addition to her 19 singles Grand Slam titles, she won nine doubles Grand Slams, and three mixed doubles Grand Slams. She was married to Frederick Moody from 1929-1937, and to Aidan Roark from 1939 until her death. She often competed against Hazel Hotchkiss Wightman.